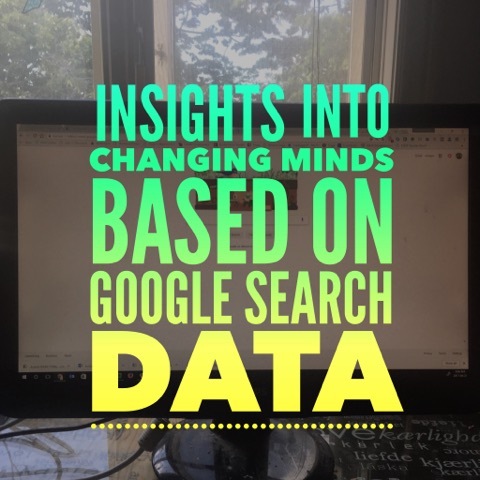 In a recent Podcast from CBC’s The Current, Anna Maria Tremonti interviews researcher Seth Stephens-Davidowitz on What Google Searches Reveal about the Human Psyche. Seth has spent years studying millions of Google searches and found some shocking insights into the human psyche. He also found some extremely interesting information that any sales and marketing pro can use in daily life. During a speech of Barack Obama’s, Seth studied searches on an hour-by-hour basis based on sentiment towards Muslims. Although at the beginning of his speech Obama started to point out what Americans should and shouldn’t do, that approach actually increased negative searches on Muslims. Near the end of his speech, Obama began talking about Muslim Sports Heros and ones who wear the American uniform in global conflicts. During that time, searches for Muslim Sports Heros and Muslim-American soldiers were the top searches and continued for the next week. You see, provoking some subtle curiosity created an appetite for more information through Google. Unlike Social Media, where people’s public personas are on display, Google searches reveal their true sentiment. Seth’s research was published in the New York Times, and as if Obama and his speech writers had read it, in future speeches he mentioned Muslims who helped build Chicago’s skyscrapers and more to create even more curiosity. If you want to provoke a change of heart, it is worthwhile to create curiosity rather than telling people how to think. This has some deep meaning for sales professionals, marketers and even managers as a whole. If you think about it, when was the last time that someone telling you what you “should or should not do” actually changed your mindset for real? It may have changed your behaviour that you show to the outside world, but it does not typically create a true change of heart. Create curiosity, and see your message get taken to heart. Looking to use some lead generation ideas today to help provoke some change? Access my free list: 50 Lead Gen Ideas to Start in 2017! How Do I Create a Club for My Business? Thanks Stef! Based on Seth’s research, the darker side of the human psyche comes out when it comes to Search. It is as though the shadow side is expressed in Search Engines. That is very true! The thesis of some of his work is all about how Social Media and Search show the two different sides of the psyche.